What do you do when your childhood hero (in fact, in primary school Tintin titles were the only books I read willingly and with joy) is at the mercy of two filmmakers whom you regard with mixed emotions at best? With Spielberg directing and Peter Jackson co-producing, I was not sure what to expect. The 3D-ness of it all was yet another X-factor I could have done without. 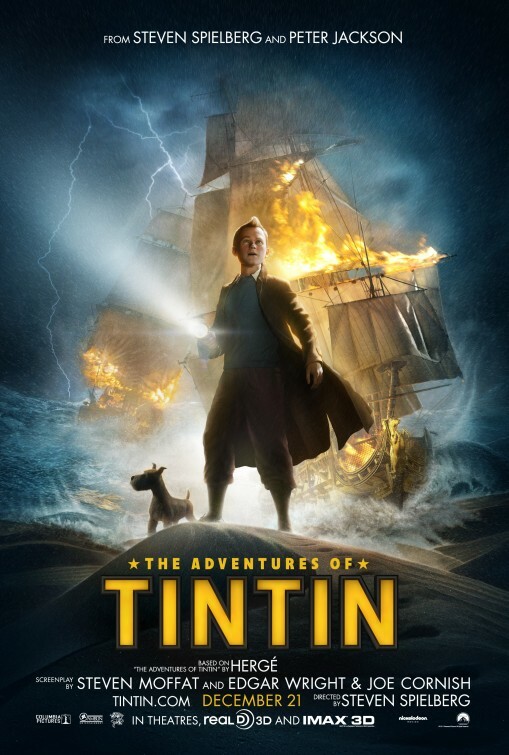 Combining more than one of the books, the film is basically about how Tintin (Jamie Bell, of Billy Elliot fame), the famous action hero and investigative reporter, gets to meet his rough and rancorous sidekick Captain Haddock (Andy Serkis). It is also about model ships and treasure, kidnapping and pirates... but that’s all I’ll say. It’s not that I did not enjoy The Adventures of Tintin. Rather, it was finding a vision of the books that I had never had, and finding this vision not entirely pleasing. For one thing, any fan would instantly recognise the Hergé style of drawing, known as ligne claire (‘clear line’ in French: http://en.wikipedia.org/wiki/Ligne_claire). This was the approach taken by the Canadian TV production in 1991, which dedicated one show to every volume. The look of that show was a moving version of the comics. I naively hoped that in the present film, this would somehow be enhanced. What we get, however, is 3D. I still think 3D works best in animation, and on this score, so far, so good. The use of motion-capture is meant to make the characters’ movements, through the animated universe, more realistic. This more or less also happened. It was just rattling to see roundness to faces you are so used to seeing as flat. They were not necessarily more human either. A glaring example would have to be the dog Snowy, who looks nothing like the adorable fluff-cloud of the books. He is almost malevolent in some angles! It is worthwhile to remember Tintin’s relative unpopularity in the USA, when compared to Francophone countries, like Europe or even Australia. This New Yorker cartoon is to the point: http://www.newyorker.com/online/blogs/movies/2011/12/the-skin-of-tintin.html. Because this is a Hollywood movie, with some of the biggest Hollywood names behind it, adhesion to sources is a secondary concern. What is lost is the ribbing, nudging humour redolent in the books. Subtlety is eschewed for full-blown, breathless action sequences. I am thinking of the airplane, the pirate and also dam sequences in particular. 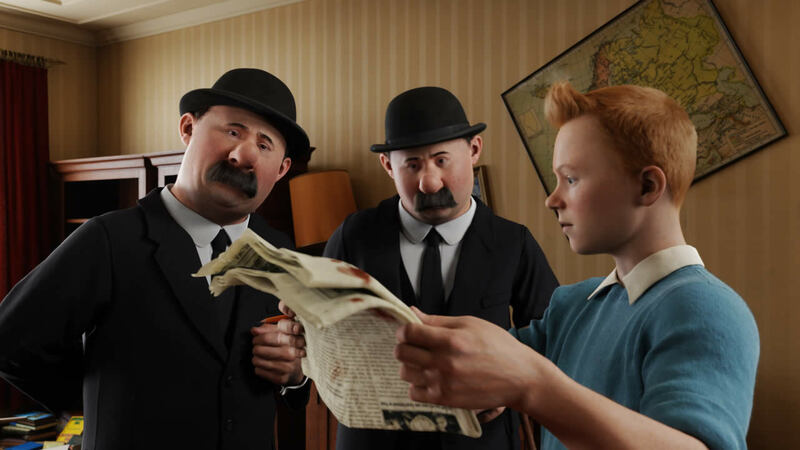 In the books, we watch Tintin unravel curious mysteries with aid from hilarious eccentrics and stereotypes. 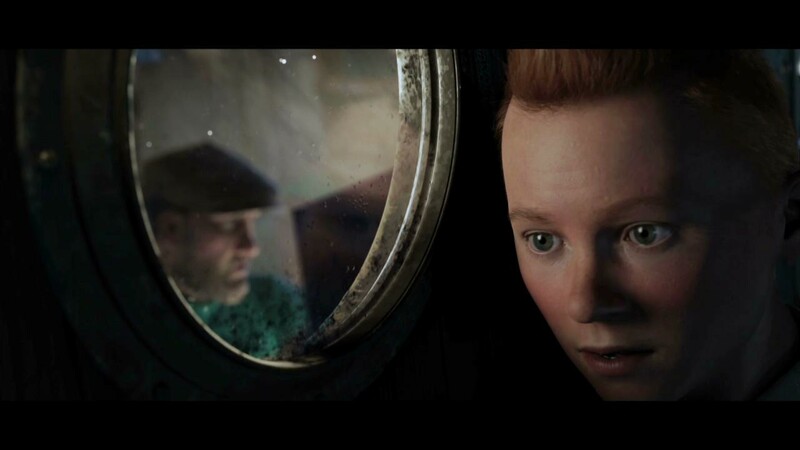 In the film, we are painfully aware that Tintin is in mortal danger and he is constants ‘on the run’. While the opera star Castafiore does make a welcome appearance, Professor Calculus does not. This was disappointing, but only personally, as he is my favourite character. Perhaps the best aspect of such a glossy, big movie is that viewers who do not know the books will go and hunt them down.